The dedication and courage needed to complete a major run like a marathon reflects the same values we practice and witness at Canuck Place every day. Canuck Place mom, Cherie, was very familiar with these traits when she decided to run the BMO Vancouver Marathon in honour of her daughter, Charlie-Anne. 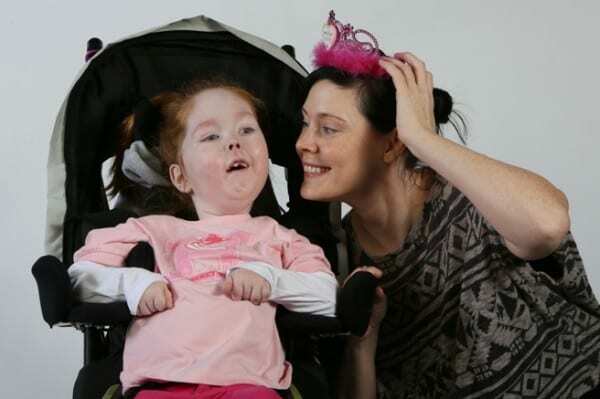 Charlie-Anne was diagnosed with Spinal Muscular Atrophy, a serious and debilitating condition that makes daily life a challenge for Charlie-Anne and her parents. It was partly because of this support that Cherie decided to challenge herself and her friends to fundraise and train for the marathon. With the support of our charity runners, we can continue to provide specialized pediatric palliative care for British Columbia families like Charlie-Anne, Matt, and Cherie.